As self-service has finally made its way through the Business Intelligence world, and proven itself being very useful beyond the buzz it firstly generated, user expectations are getting higher and higher. Like Iver already mentioned in this great blog post, with the restaurant analogy, business analysts and end-users, which are the primary targets of self-service analytics, can be seen either as guest, or cook. But in both case, guests and cooks want their meals to be easy to cook and taste good, like they want their analytics journey to be a piece of cake. Their prior skills in the analytics world should not matter. And to make everything simple to use for everyone, THAT is not simple. Fortunately, SAP and its partner ecosystem have worked hard to make analytics easy to leverage. After months of merging together SAP Lumira and SAP Design Studio, the result of it all is about to kick in, named SAP Lumira 2.0. With its new capabilities, Lumira 2.0 will bring together all the ingredients needed by the guests and the cooks in a single, trusted and scalable BI solution. One really cool feature that will be available, is the possibility for one to geocode on-the-fly its addresses contain in its data. Where are my plants impacted by this or that event? Where are the shops generating the most revenue? You could literally find hundreds of other examples, but this is not the point of this blog. The reality is, that to plot your points of interest on a map, you need to have them geocoded. But most of the time, companies only have the addresses in their datasets, and they lack the precious x and y coordinates, a.k.a the geocoded version of the addresses. 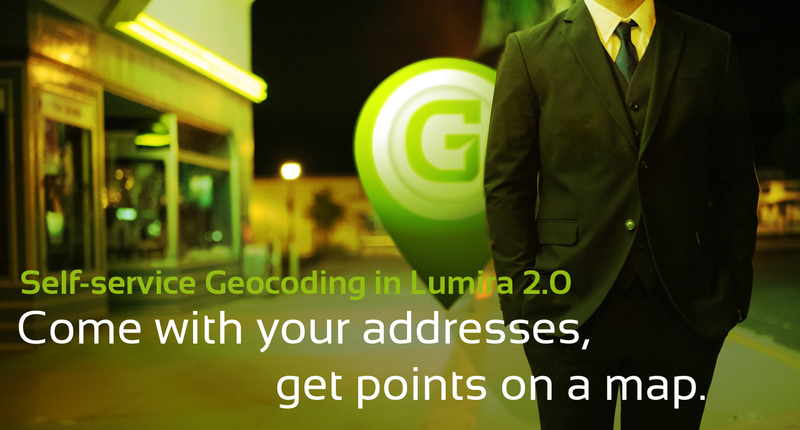 A company could want to start a “batch geocoding strategy”, and rely on geocoding service providers out of there. SAP itself, with its SAP HANA Spatial, can geocode addresses on-premise by running batch jobs. But in our case, we are talking about self-service. When a business analyst drags its address dimension in Lumira, he/she expects to see them appearing on map, and you can’t tell him/her “wait for a week and they will be geocoded”. Well, with geocoding on-the-fly, this is now a reality. Here is the overall process enabling geocoding to be performed on-the-fly. The video below showcases concretely how this is going to work, here in Lumira Discovery. The global process will also be the same in Lumira Designer, and Lumira Server. In the video, the geocoding is done live using an online service, meaning that the addresses are sent to a third-party server, that itself sends back coordinates from these addresses when the geocoding process is over. This way of working is pretty handy, because for the company leveraging it, there is absolutely no cost of infrastructure, no server to deploy and update, no worry about maintaining a service… It’s cloud. Of course, such system might cause security or confidentiality problems for companies in specific verticals. And some departments just do not have access to internet anyway. 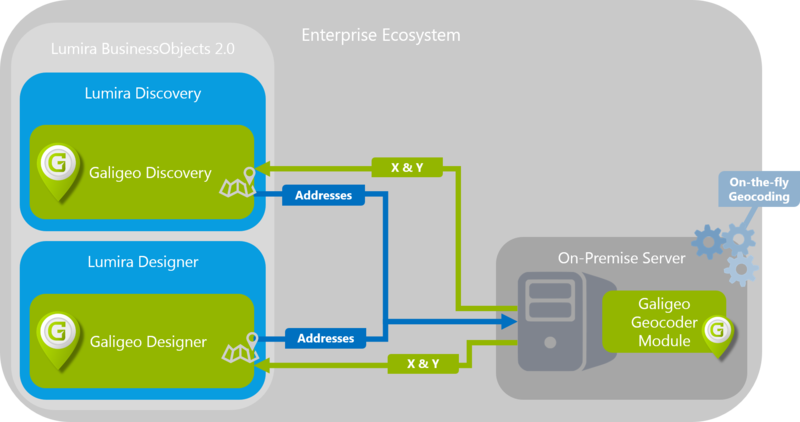 In this case, the geocoding module can be deported on the company side: the addresses will be sent to an on-premise server, and nothing will go outside the company infrastructure. I hope you guys are thrilled about this new capability that will bring a lot to the table. Geocoding is part of a whole, and you can learn more about geomapping capabilities for SAP BI at www.galigeo.com. Galigeo is the world leader in location analytics softwares for more than 15 years. It is an SAP Solution Extension Partner, and its products are certified by SAP. 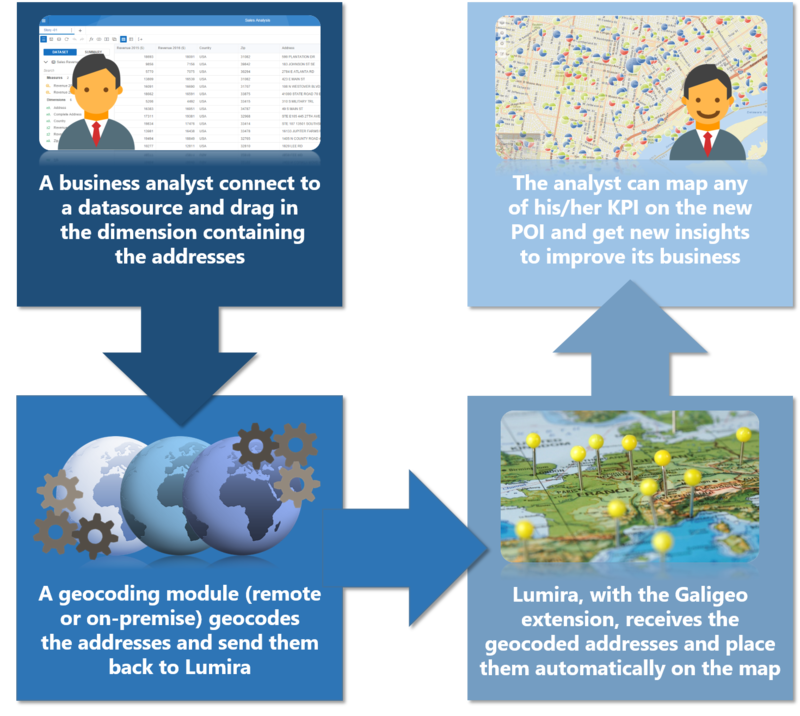 Feel free to leave a comment, or make sure to stay tuned to the latest Galigeo news about geocoding and geomapping solutions for SAP BI. Do not hesitate to check Iver personnal blog as well, definitively worth subscribing to get the latest analytics news: http://www.ivervandezand.com/! 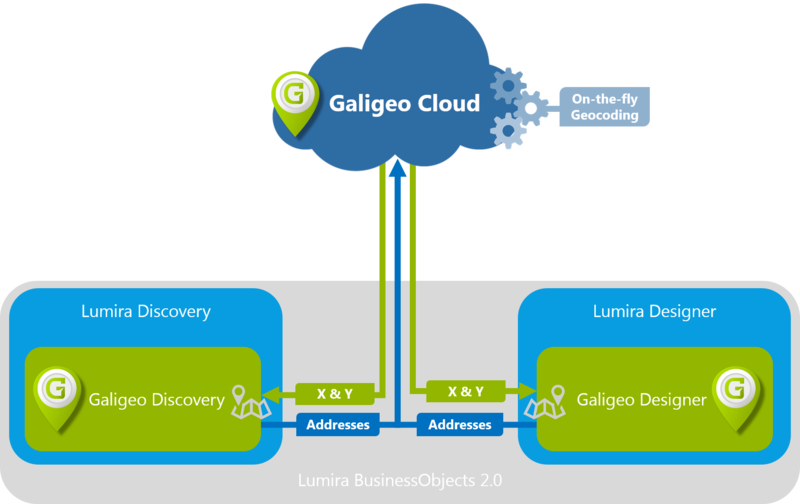 could you kindly tell me if there are additional licence costs, if we would like to use galigeo in the business objects bi system (lumira 2.0). Thanks for reaching out to us over the SCN. Please send me a mail at vdechandon@galigeo.com so I can give you the licencing models we have in place.